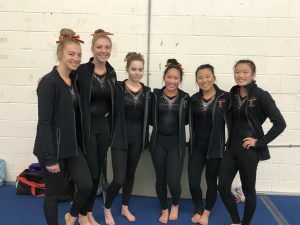 Girls Varsity Gymnastics · Jan 28 Hoover Varsity Gymnastics Takes Title at Polar Bear Invitational. 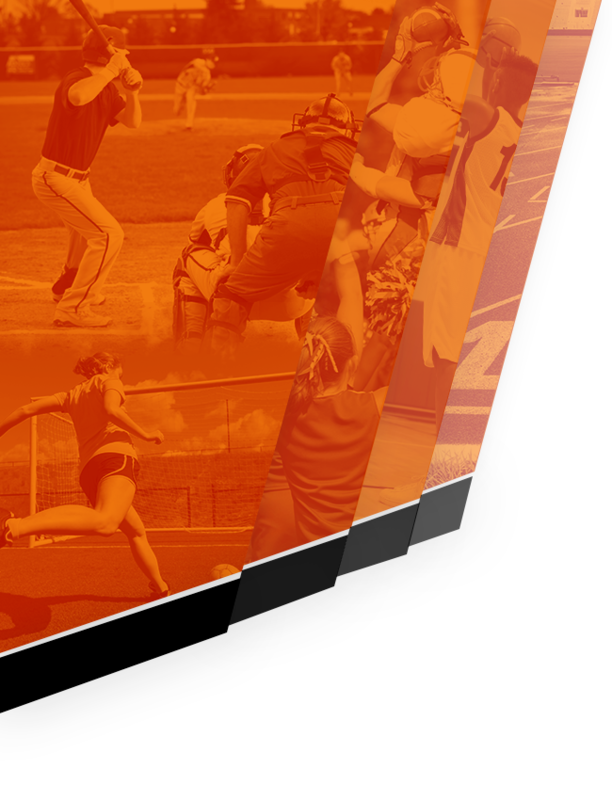 A small but mighty Hoover narrowly defeats Lake in Polar Bear invitational. The Vikings showed confidence and execution during their first meet of the season. Each gymnast was an important contribution to the over all performance. The Vikes were very consistent with their routines which helped take the first place victory. Leading the team was Senior Maddie Berrey who took 1st in the All-Around (36.9), Vault (9.6), Bars (9.15) , and Beam (9.25). She also placed 2nd on Floor (8.9). Junior ChessieMei Misja put a solid routine on Floor earning a 12th place. Helping seal the victory was Sophomore Emmie Grimaldi with an 11th place in the All-Around and Vault. She also placed 8th on Floor and 12th on Bars. Sophomore Jayne Bird displayed beautiful gymnastics placing 10th on Vault and 11th on Floor. Freshman Olivia Korach debuted her high school career with a 10th place in the All Around as well as the Bars. She was also 7th on Floor. Great Job Ladies! 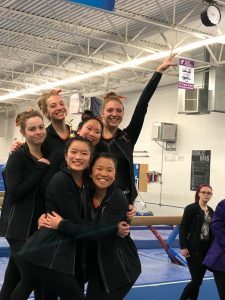 You can come cheer on your Vikings and watch beautiful gymnastics in their next meet Saturday, February 2nd and the North Canton YMCA Gymnastics Center.